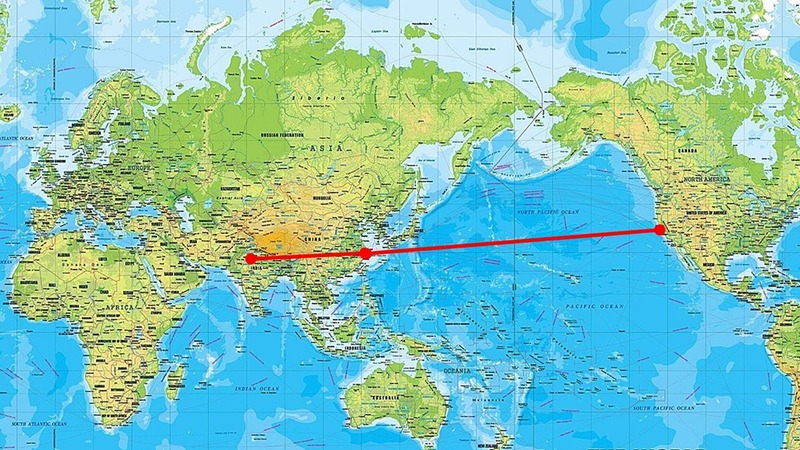 To get to Cleveland, first I had to get to the United States, so I had two flights, as you can see from the picture – one from New Delhi to a transfer in Shanghai, and then from Shanghai to San Francisco. The problems started due to the simplest of issues. The night before I was due to fly, I picked up my itinerary, saw “11:40pm” and thought “Cool…I can sleep in tomorrow, do some AskTOM, get some work done, and stroll out to the airport after the evening traffic has subsided”. And I did precisely that. I got to the airport at about 9pm, paid my driver, collected my suitcase and headed over to the airport entrance. I asked why ? I had given him my passport and all my flight details. And that’s when it hit me….The boarding time for both of my flights was 11:40… But for the first flight, it was 11:40am, and for the second flight was 11:40pm. The night before, I had checked the wrong itinerary – I was mentally cued in to the time being “11:40” so when I saw “11:40pm” I assumed I was looking at the right document. So this was the start of problems. Here I was, on the sidewalk, not even being able to enter the airport, having missed a flight that left some 8 hours before I even got to the airport. This first leg was with Air India, and the second leg was with United, so I was already thinking – how am I going to re-arrange these flights and get everything coordinated across two carriers. But first things first…I wandered down to the one part of the airport where you are allowed to enter – the ticketing section. And, now nearly 10pm, no-one was manning the Air India desk. So I tried calling them, and even whilst on hold, I realised the futility of this, because if you’ve ever stood outside in Indian traffic, you cannot hear a single thing. I knew I would not be flying anywhere tonight so the next job was to get to an airport hotel….and of course, there are no onsite airport hotels at New Delhi airport So then it was a case of walking from taxi to taxi outside the airport trying to see if any of them take a credit card (which is rare for taxis in India) because, like most people, I had carefully spent all of my Indian currency because I thought I was about to leave the country ! Finally a car that looked less like a taxi and more like a hotel car was driving past, so I flagged him down, and asked him which hotel he was from and how far away it was. 5km later I was at a hotel, now nearing midnight, and the job of sorting out flights commenced. Sorting out 2 flights with different vendors is not pleasant. To try avoid the hassles, I phoned my travel agency because they’d have access across carriers. After 20 mins (on mobile phone international roaming rates!) of “Please hold, your call is important to us” I gave up. So first it was a call to Air India to see if I could get on the same flight tomorrow, but I could book nothing because then it was a call to United to see if I could get the next day flight from Shanghai. Then back to Air India to actually book, and then back to United and book with them. Rest assured, on a mobile phone with brittle coverage, nothing is more annoying that voice-controlled automation ! I tell him I do not need one, because I’m not staying there – it is just transit. But apparently with the re-booking of the flights, they are no longer “connected”. So now I have to prove that I indeed have a connecting flight out of China, and my existing hard copy printouts are useless, because they refer to a flight that already left yesterday ! And thus, here I am, at the checkin desk, trying to once again navigate the stupid voice bot as I try to contact United over shoddy cell service with international roam, so they can tell my Air India checkin agent about my flight. I’ve discovered this is not a good way to be popular in an indian airport, with 500 people queued up behind you because you have become a bottleneck. After 10mins on the phone, passing it back and forth to the agent and myself, I am finally allowed to check in. My Air India agent is very apologetic and offers to check my bags all the way through to San Francisco to make transit more convenient. I am thankful for small mercies at this point. 8 hours later and touchdown…I have made it to Shanghai. Unsurprisingly, all of the signage is in Chinese, so navigating my way around is not easy. For the life of me, after much wandering, I cannot find the International Transfer. Eventually I give up and figure, even if I go out through Customs, I can just come back through security in the normal way. After another long queue, I get to the front of the line at Customs, and the two officials, resplendent in their semi-automatic machine guns, look at my passport, and my ticket, pause, and just shake their head. That’s all. Just a shake of the head, and I’m not allowed to pass. Now I’m panicking. I’m starting to think of that movie where the guy could not get out of the airport for months. I ask why, but their English is just as good my Chinese, ie, non-existent. I can feel the sweat on forehead, so I’m sure they are starting to think I’m a terrorist or threat to the nation in some way. And they are mighty big machine guns. Some feeble gesturing and “sign language” from me doesn’t seem to be helping but at least I’m not being locked up yet. Eventually one of the officials gets my onward boarding pass to San Francisco, and points at the sign on the wall, which is mainly Chinese but I can make out that it is referring to “24 hours” being the limit you can stay in the country without having a visa. and then points to the “24 hour” sign again. And then … the penny drops. My flight leaves at 00:30 on May 12, but the boarding pass says “Boarding at 23:40” (which is actually boarding on May 11 for a May 12 flight! ), but the Customs person is interpreting this to be late at night on the 12th, which is more than 24 hours…hence violating their entry rules. So now it’s me drawing pictures of clock hands, and calendars, and departure boards …. and after 10 terrifying minutes, we finally are in agreement – I can indeed pass through and pass back to leave the country ! At this point, I’m still not even sure if I was meant to come through Customs but at least I’m seem to be making some progress. It’s at this moment I realise that Friday night is peak hour at Shanghai airport. Often as travellers, we’re critical of security checks when the queues are long and only a handful of staff are working. I cannot say this about Shanghai. They had every single departure check open, and equally as many X-ray machines all going concurrently – perhaps as many as 15. But it counts for nought when a bazillion people are trying to fly somewhere. I spent 2 hours in the familiar snake lines going through the standard departure checks and x-ray screening before finally getting to the United departure gate with about 40mins to spare. By this point, I’m convinced that I will never be seen again by family and friends. I trudge up to the desk. “We’re sorry sir, but the Air India checkin agent should not have checked your bags through to San Francisco. As you’ve seen, there is no international transfer in Shanghai – all passengers must retrieve their bags when transferring”. Well…this explains why I could not find the international transfer….there isn’t one ! And then comes the kicker.. “NNNNNNOOOOOOOOOOOO!!!!!!!!!!!!!!!!!!!!!!!!!!!!!!!!! !” I bellowed at them, knowing that I could no way make it back in time, and moreover, there was no way I was going through the explanations of 24hour clocks again. The result ? I did get on my plane and I did land in San Francisco…albeit a day later than originally planned. The suit case ? Well… it didn’t. So the next day, I was back in a taxi, heading out to San Francisco airport to pick up the suitcase that made its own way on its own schedule to San Francisco. So there you have it. All of this grief…and why ? Because I could not read a piece of paper correctly. I’m not just the village idiot. I think if you took the village idiot from the all villages, and then made a village of those idiots…then I’d be the village idiot in that village ! Trust me if you could have called out for help on Twitter or any other social platforms, many Oracle Indian fans of yours could have come to airport to help you out. I hope it never happens again but just in case, a tip for next time. 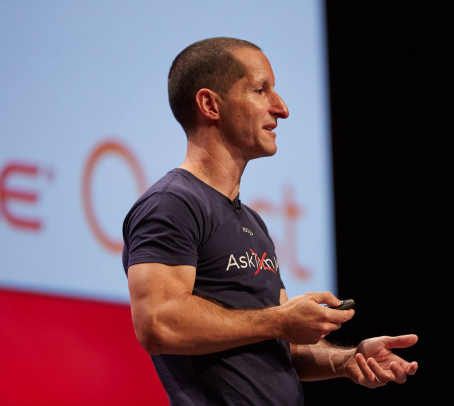 And that is perhaps one of the great things about our Oracle community…its more than just about Oracle. Now I’m going to print this and show it to my wife as proof that I’m not the single most biggest idiot born after the dinosaurs. At least one other human being made the same mistake. Connor, in places like India, you practice “intent logging’ – announce your intent and let your friends or local contact know where you are going. They can help you undo or redo. Showing up at an Indian airport with all currency spent is the kind of nightmare I wake up to. And I am indian. After reading your entire blog, I just felt bad b’coz you have to go through same pain twice. First when you were actually going all through this and second when you have to recall everything single minute of that to put them into this blog…. Looking forward to meet your at OTNYathra2017, Sir. I laughing so hard but inside I feel the pain. When it rains it pours!